The Pottery lies at the head of Warfleet Creek – at one time the water came up to the building itself and boats and goods passed under the arch which now forms part of the wall behind the bed (see Pictures of the bedroom). 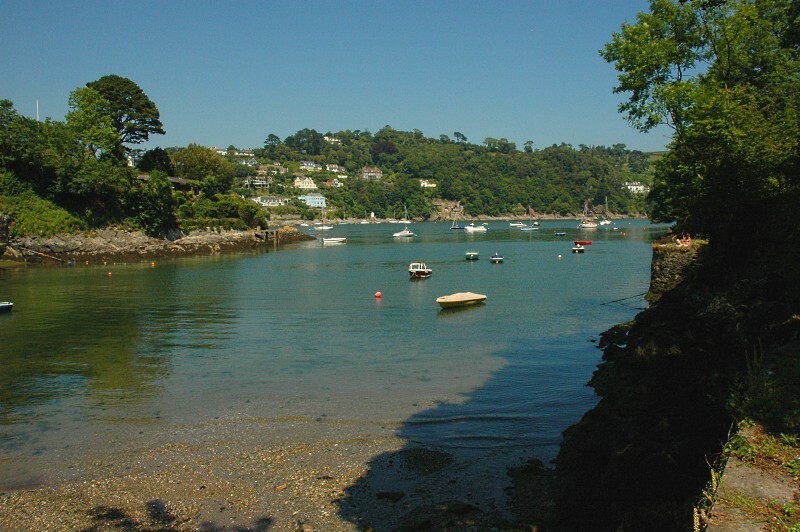 The creek provides a sheltered, shallow haven, near the river mouth, and away from Dartmouth Town, handy for a boat to unload a cargo or lay up for repairs. The banks of the creek have seen many activities aside from loading and unloading the grain, paper and beer that were processed in the Pottery’s former incarnations; ropes were made on a large ropewalk, and a limekiln is still in place – one of many along the banks of the river Dart. 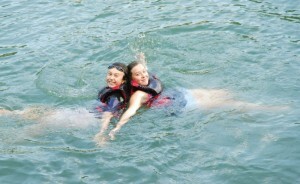 The water is clean and often crystal clear, enough for one of our guests to watch a seal at play in the shallows. The shallow clear water also attracted Captain Trevor Hampton co-founder of British Sub Aqua Club (BSAC) who set up the UK’s first scuba diving school here after WWII. 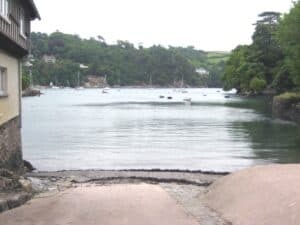 On the North side of the creek is the home of George Parker Bidder eminent Victorian railway engineer and talented mathematician, known as “the calculating boy” – a commemorative plaque can be seen on a wall by the road to Dartmouth, as it climbs up out of the creek valley. Best of all, for a sailor like me, Warfleet Creek has a slipway, allowing small boats to be launched and recovered for several hours around high tide; again, the sheltered location is a real bonus after a hard day’s sailing.